Fully draped in a black veil, Irish blonde Angela Miskelly stares out in awe as she strolls through Al-Hijr, the ancient Saudi city of tombs carved into rose-coloured sandstone mountains. "Spectacular... wonderful... breathtaking," she says. "But where are the tourists? If we had a site like this in my country, we would have millions of tourists!" 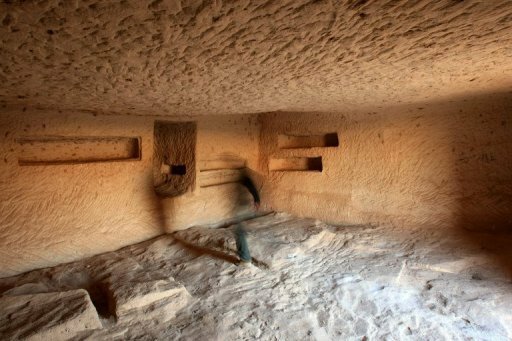 Dating back to the second century BC, the Nabataean archaeological site, also known as Madain Saleh, has long been hidden from foreign visitors in this ultra-conservative kingdom that rarely opens up to tourists. 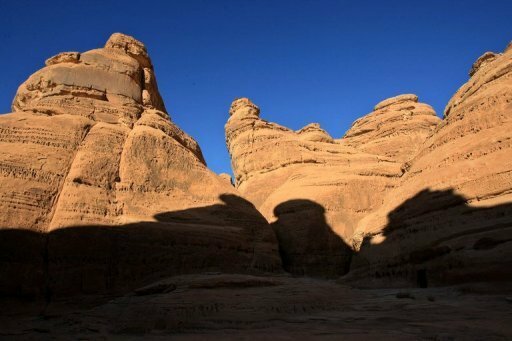 Saudi Arabia is thought to have been wary of archaeologists and scientists seeking to study its ancient ruins for fear their findings could shine the spotlight on pre-Islamic civilisations that once thrived there. In recent years, however, Saudis have increasingly ventured to these sites and the authorities are more tolerant of their curiosity. Described as the largest and best preserved site of the Nabataean civilisation south of Petra in Jordan, Madain Saleh is the first Saudi archaeological site to be inscribed on UNESCO's World Heritage List. It lies 320 kilometres (200 miles) north of Medina, the Islamic holy city of western Saudi Arabia, and extends for some 15 square kilometres (six sq miles). According to UNESCO, it includes 111 tombs, most of which boast a decorated facade, cave drawings and even some pre-Nabataean inscriptions. It also boasts intricately designed water wells that serve as a prime example of the Nabataeans' architectural and hydraulic genius. The Nabataeans first inhabited the area in the second century BC, but their ancient civilisation existed as far back as the eighth or seventh century BC in the countries of the Levant, including Lebanon, Syria and Jordan, and at times even extending into the Sinai peninsula in Egypt. Originally nomads from the Arabian peninsula, the Nabataeans were masters of trade, dominating the incense and spice routes in the pre-Islamic period. Their civilisation collapsed in 106 AD at the hands of the Roman empire. After decades of prohibiting visitors, Saudi authorities are now increasingly allowing entry into pre-Islamic archaeological sites in the kingdom, though Western tourists are still a rare site. In February 2007, four French citizens were murdered while returning from an outing to Madain Saleh. The victims were in a party of nine French people from three families living in the Saudi capital Riyadh. They were killed when two people opened fire on them with machineguns after they lost their way 90 kilometres from Medina. No group ever formally claimed responsibility but authorities at the time said that the mastermind behind the attack was a 23-year-old suspected Qaeda militant who held Saudi citizenship. 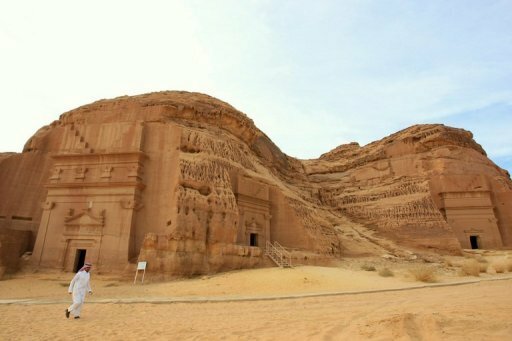 Officials at Madain Saleh say that the number of visitors to the site reached 40,000 last year, most of them Saudis and foreign residents of the kingdom. They hold hopes that figure will double in 2012 with the government relaxing entry restrictions. 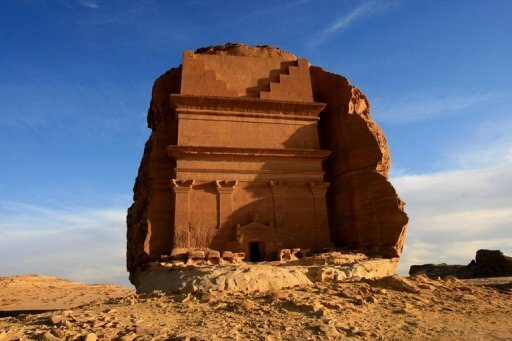 Though prior consent is required for access to Madain Saleh, it can now be obtained more easily from the nearby town of Al-Ola, or from Riyadh. The highest volume of visitors is between December and March, given the lower temperatures in the otherwise scorching desert heat. Two museums also exist on site, including one devoted to the famous Hejaz railway built by the Ottomans in the early 20th century that ran from Damascus to Medina and passed through Al-Hijr. The second museum, which opened its doors to visitors just two months ago, traces the pilgrimage route to Islam's holiest city of Mecca. On his first visit to the ancient site, Saudi national Tareq al-Adawi from the northwestern city of Tabuk says he was "overwhelmed." "I encourage all Saudis to come visit this place," he says of Madain Saleh. Another Saudi tourist, Ahmed al-Moghrabi, says he was "shocked by the majesty of the place." A small team of French archaeologists in partnership with their Saudi colleagues are now carrying out excavations on the site in an effort to preserve and better understand its ancient history. Madain Saleh, though likely one of Saudi's most famous archaeological sites, is not its only one. The area bears evidence of other ancient civilisations. 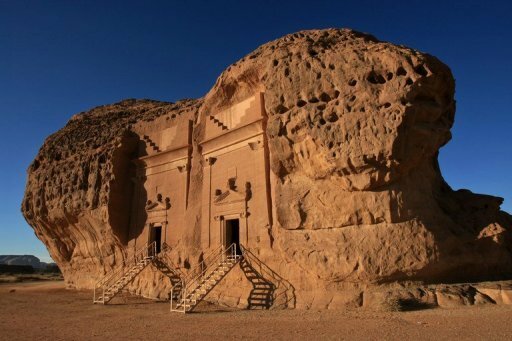 Just 22 kilometres from Madain Saleh is Al-Ola, located on the ancient incense route. The city served as the capital of Lihyan, an ancient Arab kingdom. It is home to archaeological remnants that date back thousands of years, including it's citadel which is some 8,000 years old.